Santa Monica, CA and Basking Ridge, NJ – October 20, 2006 – JibJab, a digital comedy network, and Verizon Wireless, the nation’s leading wireless provider, announced today they have teamed up with renowned comedy film director John Landis to produce six laugh-out-loud short films featuring the best up-and-coming sketch comedians in the country for the Great Sketch Experiment contest. The six funny videos competing in the Great Sketch Experiment are available as of today for free at JibJab.com or on Verizon Wireless’ V CAST service in the V CAST Showcase channel. The winner of the Great Sketch Experiment, sponsored by JibJab Media Inc., will receive a $10,000 development deal with JibJab and have their performance featured on Verizon Wireless’ V CAST service. Viewers can vote for their favorite video online at http://www.jibjab.com through November 16. 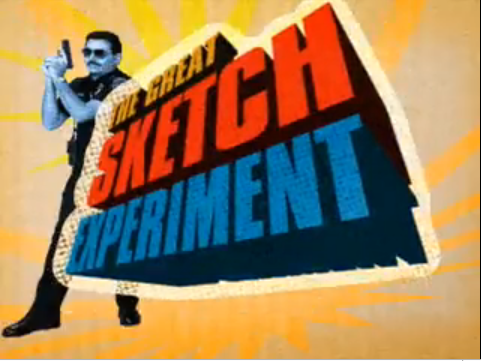 The Great Sketch Experiment initially brought together 50 comedy troupes from across the country to compete for one of six slots to have their short films directed by John Landis, who has worked with comedy icons like John Belushi, Dan Aykroyd, Eddie Murphy and many others. Verizon Wireless customers with V CAST-enabled phones can now view and access all V CAST has to offer – including music videos, recaps of hit television shows, movie trailers, plus news, sports and entertainment programming – with either a monthly or daily subscription. Verizon Wireless customers can sign up for a $15 V CAST V Pack monthly subscription by contacting Verizon Wireless; customers with select V CAST-enabled phones can access V CAST right from their phones for a daily subscription of $3 for 24-hour use. Both the monthly and daily subscription choices offer customers unlimited basic video – including the Great Sketch Experiment on JibJab in the V CAST Showcase Channel – and there are no airtime charges to download, stream or watch V CAST video. Application download and content fees apply for 3D games and premium video. JibJab is a registered trademark of JibJab Media, Inc. in the United States and other countries.